1) This song makes reference to rainbows. Have you seen one lately? 2) When Sam heard this song, it occurred to her that she wouldn't last a day without a game of online Yahtzee. What little commonplace pleasure reliably brightens your day? 3) Richard Carpenter was emphatic that his group's name was "Carpenters," NO "the." Whenever he hears the group referred to as "The Carpenters," it gets on his nerves. What little commonplace annoyance reliably sets you off? 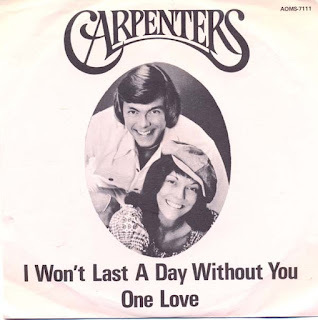 4) Karen Carpenter said she drank iced tea all day long. What beverage do you think you'll have with your next meal? 5) "I Won't Last a Day without You" was written by Oscar-winning composer Paul Williams. He also tried his hand at acting, most notably appearing with Burt Reynolds in Smokey and the Bandit. Back in the 1970s, the three movies in the Smokey series were very popular. Have you seen any of them? 6) This song was recorded in 1973 by Diana Ross. Now in her 70s, Miss Ross is still going strong with a busy calendar of appearances in 2017. What's your favorite Diana Ross song? 7) In 1972, the year this song was popular, the United States and the United Kingdom joined forces and launched the Copernicus satellite. Today it's remembered for the discovery of long-period pulsars. Crazy Sam got bored writing this question. Do you enjoy reading about science? 8) Before Michael Phelps, Mark Spitz was American's premier Olympic swimmer. In 1972 he won seven Gold Medals. After making millions in endorsements and TV appearances, he settled into a career as a realtor in Los Angeles. Are you contemplating a change in residence any time soon? If you move, will you be consulting a realtor? 9) Random question: Which of these is completely, 100% UNTRUE of you -- boring, lazy or stupid? 1) Subways can be bright and noisy. Do you need it dark and quiet before you can fall asleep? 2) In this song, Petula encourages her lover to talk it out instead of walking out. Do you usually remain reasonable during a disagreement? 3) Petula was a child star in England during WWII. Her BBC broadcasts were very popular with the British troops, who nicknamed her The Singing Sweetheart. Soldiers pasted her photo onto their tanks for luck as they went into battle. Do you have any little rituals or good luck charms that calm/comfort you when you're afraid? 4) Now 84, she recently told London's Daily Mail that she's surprised and thrilled to have found love again with a new man. Do you believe you'll ever be too old for romance? 5) Her family is far flung. She lives in London, her middle daughter is in Paris, her son is in Los Angeles and her oldest daughter lives in New York with Petula's two grandchildren. Who is your nearest friend or relative? Which one is farthest away? 6) In 1967, when this song was popular, Rolling Stone published its first issue. John Lennon was on the cover. Publisher Jann Wenner reports that, either individually or as a group, the members of The Beatles have appeared on the most Rolling Stone covers. What's the first Beatle song that comes to mind? 7) In 1967, Star Trek was in its second season on NBC. Who is your favorite Star Trek character? 8) RANDOM QUESTION: When you slip into jeans or slacks, which foot do you put in first? 9) As you considered #8, did you mime pulling on your pants? 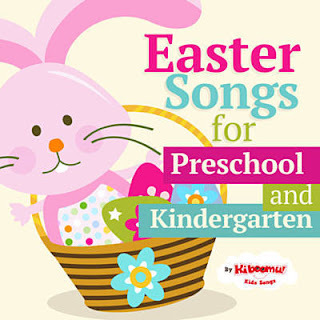 1) Why do you suppose there are so many songs about Santa Claus, yet very few about the Easter Bunny? 2) This song was written by The Kiboomers, two early education teachers who are passionate about the power of music to help kids learn. Tell us about a teacher who had an impact on your life. 3) Legend has it that the Easter Bunny was introduced to America in the 1700s by German immigrants. These children waited for a magic creature who left colored eggs. Today's kids dye Easter eggs themselves. When did you most recently color eggs? 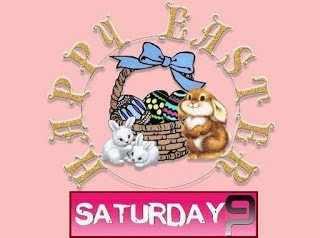 4) The Easter Bunny is usually shown carrying a wicker basket filled with eggs, toys and candy. Is there any wicker in the room you're in right now? 5) While marshmallow Peeps are manufactured all year around, they are most popular at Easter. Do you prefer the chicks or the bunnies? 6) A little time in the microwave can do ugly things to a Peep. Have you ever nuked a Peep? 7) Would you prefer a hollow or a solid chocolate bunny? 8) A traditional American Easter dinner usually includes glazed ham or roast lamb. Which would you rather have as your main course? 9) Easter is considered the season of rebirth. What makes you feel refreshed or rejuvenated? 1) This song is about a woman who doesn't get to see her lover often enough because he's on the night shift. Have you ever worked nights? 2) She promises that if he takes the day off, she'll make it feel like a vacation. Have you traveled anywhere fun so far this year? Do you have any leisure trips planned for 2017? 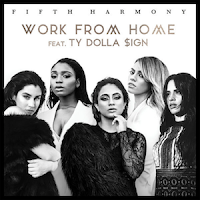 3) The ladies of Fifth Harmony are enthusiastic supporters of the Girl Scouts, rewarding troops who excel in fundraising activities with free concerts. The Scouts' best-known fundraiser is their cookie sale. What's your favorite cookie (Girl Scout or otherwise)? 4) Fifth Harmony also participated in Goodwill's Fall Haul campaign. They encouraged high school students donate as many items as possible to Goodwill, and the winning school got a free concert. When did you last take gently-used items to a resale organization? 5) Do you ever shop second-hand or thrift stores? 6) Fifth Harmony member Normani Kordei competes on Dancing with the Stars this season. Would you do better on DWTS or The Voice? In other words, are you a better singer or dancer? 7) In February 2016, when this song was first released, The Denver Broncos won the Super Bowl and Spotlight won the Best Picture Oscar. Can you recall who won the 2017 Super Bowl and Best Picture Oscar, just two months ago? 8) 2016's most popular TV show was Game of Thrones. Are you a fan? 9) Random Question: What's the subject line of the newest message in your email spam folder?